I have had the honor to serve as a WFN Trustee since 2015. I now have the privilege of also serving as the newly appointed Chair of the Membership Committee. I have served as the Canadian delegate to the WFN, a member of the WFN Education Committee, and Co-Chair of the eLearning Task Force of the Education Committee, alongside Prof. Riadh Gouider from Tunisia. I have also served as president of the Canadian Neurological Society, Canadian Congress of Neurological Sciences, and Federation of National Specialty Societies of Canada. My clinical and research foci are on dementia. 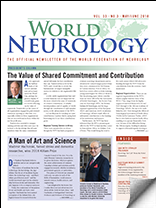 I am honored that the Canadian Neurological Society has nominated me for re-election as a WFN Trustee. I am also proud that Canada has initiated a WFN Department Visit program for young neurologists from Central and South America through the efforts of Prof. 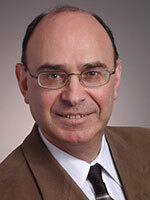 Guy Rouleau, director of the Montreal Neurological Institute and Canadian Delegate to the WFN. I am also proud of the Canadian Open Neuroscience Platform, which has its base at the Montreal Neurological Institute, and which is well-positioned to serve as an integrator and facilitator of education worldwide. I have taken an active international leadership role in education. Since 2005, I have focused on eLearning using videoconferencing as an electronic medium to bring together health care professionals from across the globe within a virtual classroom. This has been done within the context of international videoconference rounds in behavioral neurology. The goal is to develop greater international communication and links in behavioral neurology, and to transfer knowledge at the basic science and clinical levels internationally through joint educational programs. The audiences are multidisciplinary and include neurologists, psychiatrists, geriatricians, family physicians, nurses, social workers, occupational therapists, and psychologists, as well as trainees in these disciplines. I was awarded the prestigious Colin Wolf Award from the Faculty of Medicine, University of Toronto, for this initiative. An important development that was modeled on the international behavioral neurology videoconference rounds was the formation of international neurology resident rounds in 2008, i.e., the Neurology International Residents Videoconference and Exchange (NIRVE) that promotes international collaboration among neurology trainees. Participating sites have included Brazil, Canada, Chile, Ethiopia, France, Jordan, Nigeria, and Russia. In addition to the rounds, NIRVE has led to resident exchange visits. I have collaborated with Prof. Riadh Gouider to create a special series of international videoconference rounds in Behavioral Neurology involving Africa and Canada, and which has been supported by a WFN grant. My major goal as WFN trustee is highly focused on education through eLearning and is directly related to the mission of the WFN to foster quality neurology and brain health worldwide by promoting “global neurological education and training with the emphasis placed firmly on under-resourced parts of the world.” I will continue working hard to achieve this goal through innovative eLearning programs involving our network of international sites for videoconference rounds that target neurologists, allied health care professionals, and trainees in neurology and related disciplines. The ongoing programming series will involve both developing and developed countries with a view to transferring knowledge from one to the other in both directions with all participants as equal partners. A new goal is to significantly expand this eLearning network and broaden the focus from our highly successful behavioral neurology series to include a broad spectrum of disciplines within neurology. I recognize the financial challenges facing under-resourced parts of the world and the barriers that this poses for successful knowledge transfer through eLearning. However, in keeping with the mission of the WFN to promote global neurological education and training, I will apply all the resources at my disposal to help fulfill this mission with full emphasis on under-resourced regions. In addition to my goal related to eLearning, I hope to have a major impact on increasing membership in the WFN through my new position as chair of the Membership Committee. Furthermore, I will serve the WFN in any other way that I can.